The launch of an alternative Dada-inspired version of the traditional poppy, worn in remembrance of fallen soldiers from all wars of British & Commonwealth involvement – but primarily the 1914-18 world war that provided the catalyst of disgust that induced the birth of Dada as a war protest movement in Zurich, 1916. The new Dada poppy is overlaid with six green circles in a hexagonal formation plus the seventh at its centre. 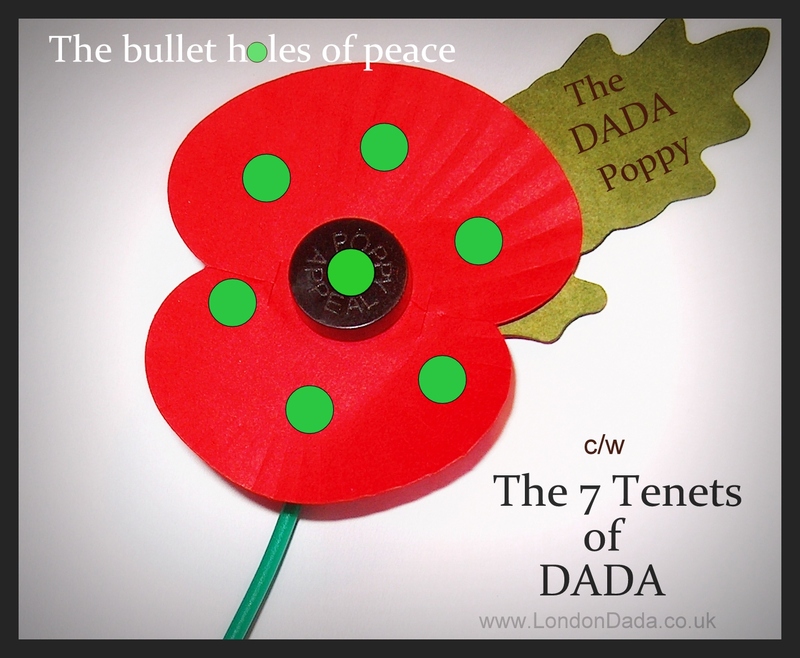 Corresponding generally to 2015 London Dada Work; *The Bullet Holes of Peace and specifically the ** 7 tenets of Dada, relating to seven main principles or essential component parts of all Dada Works from 1916 to the present. Designed to awaken an additional remembrance – specifically for artists – to orient and focus their talents and sensitivities towards true perception and criticism of dark forces still unfortunately present in our society that would again drag us into involvement with yet another unjustified war in future. 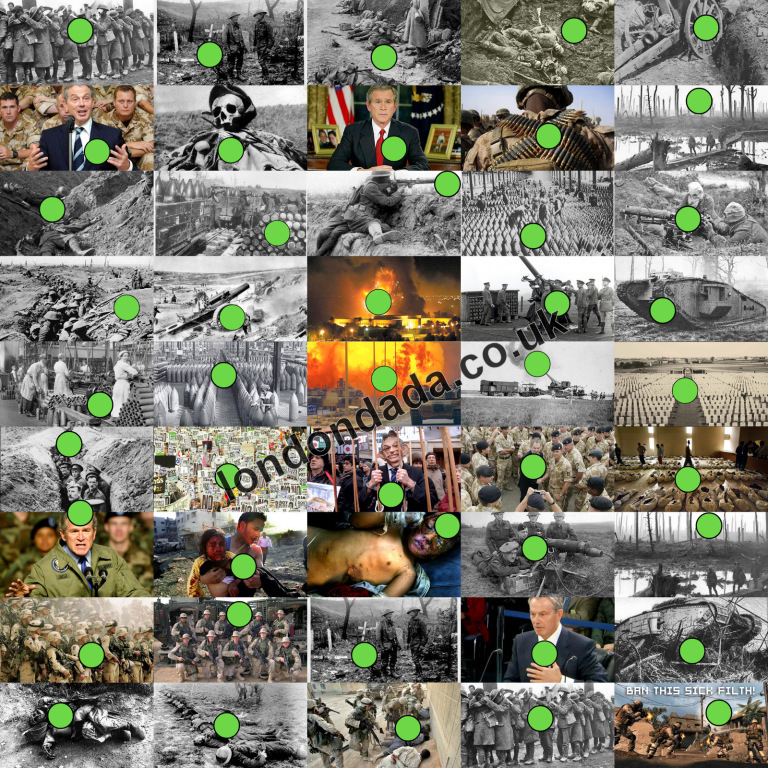 It’s now simply not enough to remember the fallen, important though that is, but also we must raise public awareness of the well-trodden path to war typically employed by the mainstream media under control of governments and ultimately big business, whether it be oil or armaments.